From the award winning author of 'No Hope for Gomez!' comes a zany pre-sequel (prequel and sequel packed into one novella). 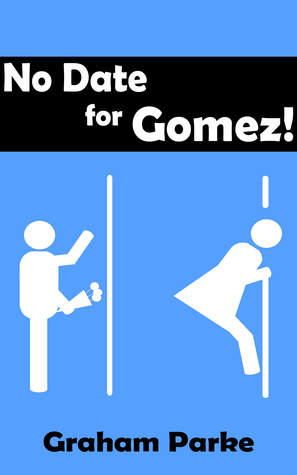 Gomez has never been on a date. In his 27 years on the planet, he’s only ever had almost-dates and almost-relationships. Whenever he goes out with a girl, circumstances always conspire to downgrade the date to a mere meet-up. But when a mysterious freckled-girl moves into his building, he'll have to pull out all the stops to show her how wonderful he probably is on the inside. I wanted to jump into my Kindle and punch 'the homeless guy' in the throat. I suppose, in his screwed up mind, he had a good point. The delivery and how he got it across killed me though. Gomez is still quite the character. He is somewhat oblivious to life and all his surroundings. I don't know whether to be amused or annoyed by him. The book made me laugh though. Graham has a witty way of telling a story. Even with the most mundane of situations, you get pulled in by his wit. Another great Gomez story. Will there be more? I hope so.